Fenny Stratford is now part of Milton Keynes. This chapel, now closed, was in the Wolverton Circuit. 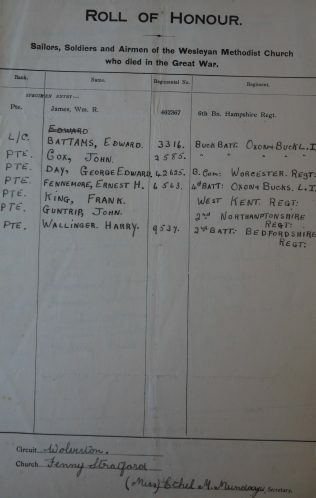 Of the seven men listed, Pte. John Guntrip 9143 2nd Bn. 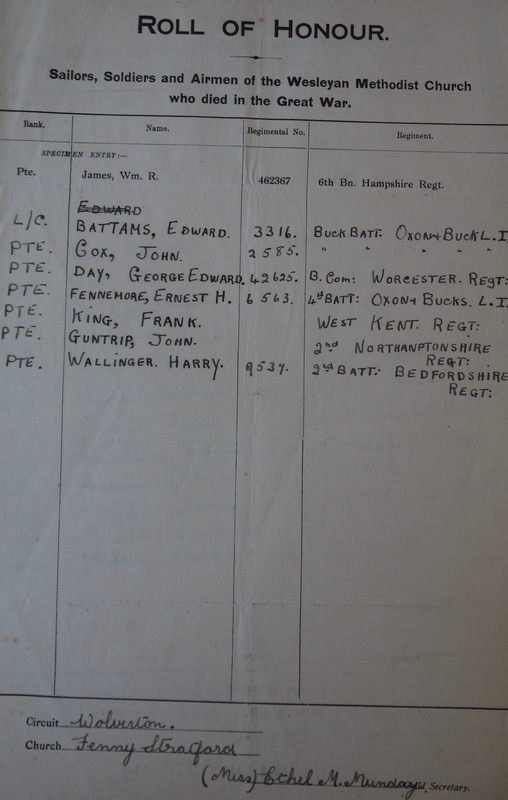 Northamptonshire Regt. does not appear on any of the village war memorials.